If you don't know, I love me some Instagram! You've probably read about having an Instagram "theme" for your account. Good articles on that here and here. My "theme" is all about light and bright. All white everything, bright colors, and clear pictures. How do I achieve this look on all of my posts? Keep reading. Brightness - I like it bright bright BRIGHT, pump that baby up! Warmth - Ew yuck gross. No warmth in my pictures - I like 'em icy cold (aka blue hue). Saturation - Make it POP! I like colors to stand out, bring this up but not so much that it looks fake. Highlights - This helps with brightness. Bring it up, again not too much that it looks fake. Shadows - I don't use this on some pictures. Only when there are bad shadows that need to get gone! Sharpen - I use just a little bittle of this feature to keep things clear. Whiten - This is only on Photo Editor (see below), but when I have a white background I use this to make it super pure white. You just run your finger over the white areas and they get brightened up! These are both directly on Instagram. They both add brightness and take away warmth. I usually try them first before doing any manual editing, they don't always work out but if I use a filter it's one of these. Photo Editor- - As mentioned above I use this one for the whiten tool. When I use it I also just do all of my other editing mentioned above on here too. Super easy to use! Insta picframes (for collages) - When I do a side by side I like this app. I haven't tried Instagram's collage app so let me know if it's better. This one has worked well for my so far though! Color Story - I only have the free version and this one is new to my phone. I'm no expert on this one yet but I used the 'Disco Ball' filter for the photo above (took it from photo 2 to photo 3). 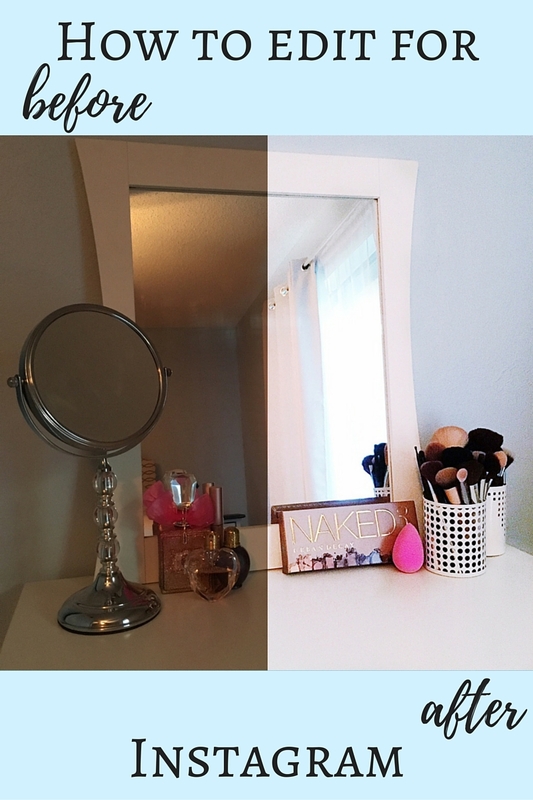 I first used Photo Editor- and did all of my usual editing tricks, including whitening the desk and mirror frame, that got me from the first pic to the second. To go second to third I used the Disco Ball filter from Color Story as I mentioned above :) Miracles, right?! What are your favorite apps? I always enjoy trying new ones out. I have Snapseed, Picfx, and VSCO but don't really use those.